Whether you are a bride or a bridesmaid wanting to schedule a special day before the BIG DAY. We are here to personalize a day just for you! 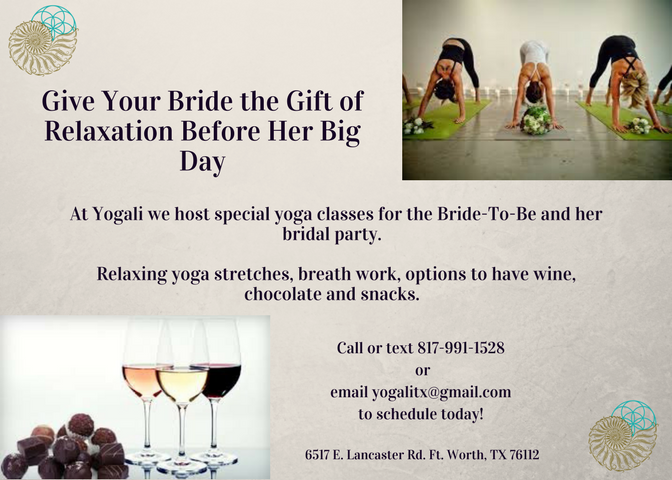 Contact Ali at 817-991-1528 via phone call or text to find out more and to schedule or you can e-mail us at yogali@yogalitx.com.